Effective and reliable communication is an integral part of running a successful business. The smallest issues can have serious consequences, which is why it’s important to choose the right phone system for your needs. 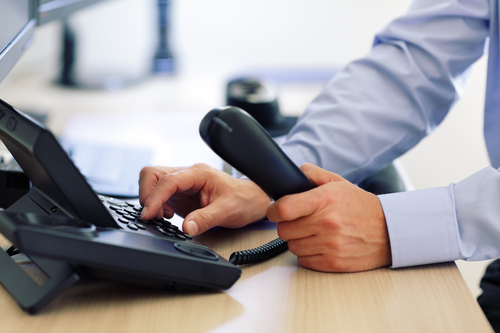 Many companies are turning to a VoIP phone system rather than a traditional landline, according to the staff at Communications Deployment Partners in Ambler, PA. Since both options offer a range of advantages, they explain some of the key differences to ensure you make the right choice for your organization. The system uses the Internet to make calls rather than a landline. As such, they provide greater access to more services and the opportunity to adopt added features. Users can connect voicemails with email systems, access provider portals, and have direct communication with customer service. It is also often much cheaper than traditional landline costs. However, they require a fast, reliable Internet connection or they’ll slow down. The service connects the system directly to existing copper wiring controlled by a phone company; telephones are plugged directly into the network and signals travel along the landline. They’re highly reliable but can only handle a few features, which are usually limited to caller ID and basic voicemail services. Landlines also rarely receive upgrades, as they’re costly compared to the ease of upgrading digital VoIP phone system features. If you’re interested in exploring the options further, turn to the staff at Communications Deployment Partners. The nation-wide provider sets clients up with VoIP phone systems, as well as cloud and business Internet services. Their reliable work and assistance ensures your organization has everything it needs to streamline its operation. Call (215) 343-5580 today to speak with their staff. Visit their website to learn more about what they offer and how they can help. Like their Facebook page for regular news and updates. Sign Up for Kabbage Today!